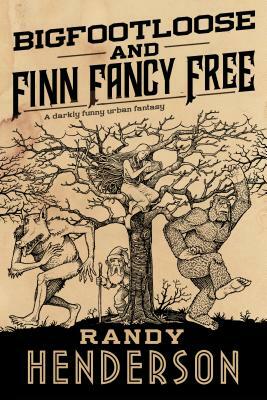 In Bigfootloose and Finn Fancy Free, the sequel to Randy Henderson's acclaimed debut novel, Finn Fancy Necromancy, Finn Gramaraye is settling back into the real world after his twenty-five-year-long imprisonment in the otherworld of the Fey. He's fallen in love with a woman from his past, though he worries she may love a version of him that no longer exists. He's proved his innocence of the original crime of Dark Necromancy, and he's finding a place in the family business--operating a mortuary for the Arcane, managing the magical energies left behind when an Arcane being dies to prevent it from harming the mundane world. But Finn wants more. Or different. Or something. He's figured out how to use the Kinfinder device created by his half-mad father to find people's True Love, and he'd like to convert that into an Arcane Dating Service. It's a great idea. Everyone wants True Love Unfortunately, trouble always seems to find Finn, and when he agrees to help his friend, the Bigfoot named Sal, they walk right into a Feyblood rebellion against the Arcane Ruling Council, a rebellion being fomented by unknown forces and fueled by the drug created by Finn's own grandfather. RANDY HENDERSON is the grand prize winner of Writers of the Future Award for 2014, a Clarion West graduate, and member of SFWA and Codex. His fiction has appeared in Penumbra, Escape Pod, and Realms of Fantasy, and has been included in anthologies. He is the author of the novels Finn Fancy Necromancy and Bigfootloose and Finn Fancy Free.